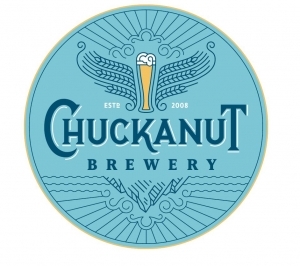 National and local award winning Chuckanut Brewery has recently opened its production facility with the Tap Room (South Nut) for all ages across form Skagit Regional Airport. Taste Chuckanut’s European style Lagers and Ales at the source now in Skagit County. Bring food from home, any of the local restaurants or from our delicious visiting food trucks to have with tasty Chuckanut Beer. Get bottles to go, growler fills, and party kegs too. Outdoor seating available. Mari and Will started one of the first craft breweries in the Northwest “Thomas Kemper Brewery” back in 1984. After leaving Kemper they moved to the East Coast where Will became a consultant in craft brewing and breweries and worked with Wheeping Radish in Durham, NC, set up the first Dock Street Brewpub in Philly, set up the original Capital City Brewery in DC, and Lowell Brewing in Lowell, MA. 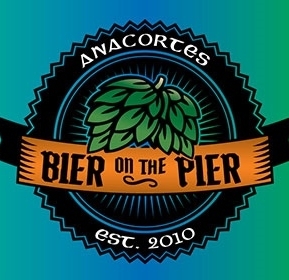 Then they moved back to the NW where Will worked with Beers Across America, a group of craft breweries including Aviator Brewing in Woodinville, Norwester Brewing in Portland, Orange County Brewing in CA, Mile High Brewery in Denver, and a few more. When that ended he developed the first two brewpubs in Monterrey, Mexico (Sierra Madre Brewing Co)! At the same time he taught brewing engineering for the American Brewers Guild in Davis, CA. Upon returning to the USA he began to consult with a group from Istanbul, Turkey and he and Mari went to Istanbul to put in the first craft brewpub in Turkey in 2002. They returned to American and he continued to consult with them when the two of them were asked to return to Istanbul to make the first craft brewery. They lived three years in Turkey for the project and when they finally returned to their home in Bellingham, WA they decided to start Chuckanut Brewery. And so the story of Chuckanut Brewery begins in 2008! Winning Small Brewpub/Brewer of the Year at the GABF 2009 (the first time they entered this national contest) with all Lager beers was amazing and when we won Small Brewery/Brewer of the Year 2011 at the GABF it was a confirmation that Chuckanut beers were indeed, some of the best in the nation. Continued awards of medals from the Great American Beer Festival, the World Beer Cup, the North American Beer Awards, and the Washington Beer Awards is an indication that Chuckanut Brewery is one of the more rewarded breweries in WA State. 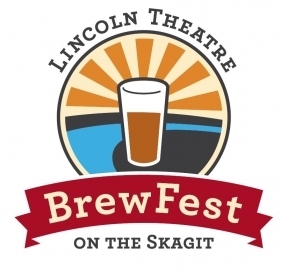 We are proud member of the both the WA Brewers Guild and Commission as well as the Craft Brewers Association. We believe engineering concepts are the key to Chuckanut’s amazing beers with the use of engineering considerations and controls that match some of the biggest breweries in the world that are uncommon for such small breweries like Chuckanut. When Will Kemper first started brewing the equipment had to be hand tooled out of dairy equipment and hobbled together with creativity and brains. Now we can get small brewing equipment manufactured to Will’s engineered designs. 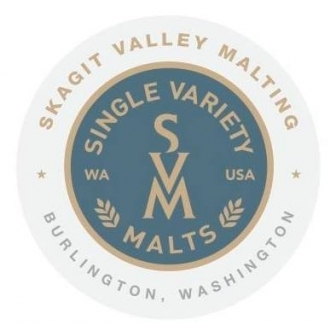 But finding ourselves in Skagit Vallely, one of the best growing areas in the USA we are lucky to be next door to our farmers that are growing barley and the Skagit Valley Malting Company that is malting the Skagit barley. 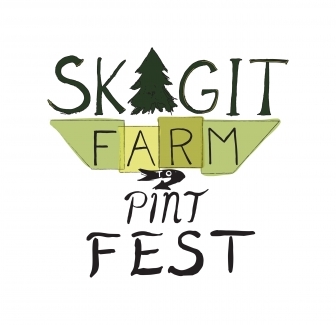 This will up the quality of local for us and being in what the Port of Skagit calls the Innovation Zone we are another cog in the wheel for the sustainability of Skagit farms! The Innovation Zone is an area where agricultural related products add to the viability of farming in Skagit and we are proud to be a part of it! Will Kemper has worked as brewmaster for such breweries as Thomas Kemper, Aviator Ales (Seattle), Norwester Brewing (Portland, OR), Orange County Brewery (CA), Mile High Brewing (Denver), Dock Street Brewing (Philadelphia), Capital City Brewing (Washington DC), Lowell Brewing Company (Lowell, MA), Red Bell Brewing (Philadelphia), as well as internationally at TAPS, Istanbul Turkey and Sierra Madre Brewing Company, Monterrey, Mexico. For most of these breweries he engineered and supervised construction, startup, and created recipes , then trained the brewer to take over production after a predetermined time. Will is a Diploma member of the Institute of Brewing and Distilling based in London, England as well as an active member of the MBAA (Master Brewers Association of the Americas). He holds a BS in Chemical Engineering from U of Colorado Boulder, is an alumnus of the Siebel Institute of Technology in Brewing Microscopy and Microbiology, and completed the first Masterbrewers Program from the University of California at Davis. He taught brewery engineering for the American Brewers Guild in Davis, California for several years in the 1990s and his video lectures are still used by the Guild for their professional training courses. Meet Will during this great podcast!